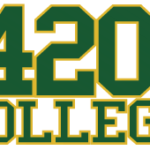 At 420 College we offer California cannabis and hemp business education and consultation. In the last few years there has been a growing acceptance of cannabis and hemp in America. In fact on May 30th, 2014 congress passed an appropriations amendment bill blocking the DEA from targeting medical marijuana and interfering with states medical cannabis laws. The Senate will likely consider its own appropriations bill for the DEA, then once that passes the President will need to sign it. The House also passed a bill telling the DEA to leave state industrial hemp programs alone. They added that the DEA is not above congress and they are not above the law and they need to follow existing laws as they have better things to do. These are huge steps toward progress on these important states rights issues. Each state that has voted to implement medical cannabis and industrial hemp laws should have the right to the pursuit of happiness and financial gain in America through these quickly growing industries without fear of punishment from government entities. This is incredible news as hemp can potentially save our planet and many states have legalized growing industrial hemp and President Obama has now federally legalized the growth of industrial hemp for research purposes. Even though hemp has already been researched for thousands of years this is still progress toward America being able to grow hemp again which would create jobs and boundless new eco-friendly sustainable products. Industrial hemp is a major trillion dollar cash crop for other countries such as Canada and China. Other countries can tell the difference between medical cannabis and industrial hemp and they have seen the benefits to their environment and economy from hemp. Hemp is the strongest natural fiber on the planet, testing ten times stronger and lasting ten times longer than cotton. It was used in rope for ships that would travel in arctic cold temperatures as it was the only material that wouldn’t snap from the brittle cold. Presidents Washington and Jefferson both grew hemp and George Washington’s wife knit together the very first United Stated flag using hemp textiles. Traces of hemp fibers can be found in U.S. dollar bills. Hemp was also used in World War II and was required to be grown as part of a “Hemp For Victory” campaign and a hemp parachute ended up saving George Bush Senior’s life in that war. Hemp can be grown organically without the use of pesticides as it is naturally anti-bacterial and anti-microbial plus it enriches the soil it is grown in with nutrient traces of Nitrogen (N), Phosphorus (P), and Potassium (K) as it’s leaves fall unlike cotton which depletes soil of all nutrients while grown. This means a new crop of hemp can be planted right after harvest in the same soil. Hemp produces more pulp per acre than timber on a sustainable basis and can be recycled more times than wood-based paper. Trees take 20 years to mature versus 4 months for Industrial Hemp. Hemp seeds and hemp oil contain both omega 3 & omega 6 fatty acids, perfect for optimal brain function when consumed. Hemp has boundless uses and is creating a booming new industry for entrepreneurs in America. 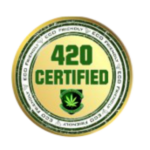 Our featured speaker Miss Tropical420 can teach you how to start your own legal industrial hemp business including importing, marketing, and cultivation of hemp.